WEST PALM BEACH, Fla. — As the International Hot Rod Association (IHRA) Summit Sportsman Spectacular season kicks off this weekend, March 22-24 at Xtreme Raceway Park, Trumbull, Texas and Farmington Dragway, Mocksville, N.C., IHRA members, can maximize their winnings through the IHRA contingency program. The winners and runners-up in competition will receive payouts from IHRA contingency program. •The requirements for claiming contingency sponsorship are listed here. 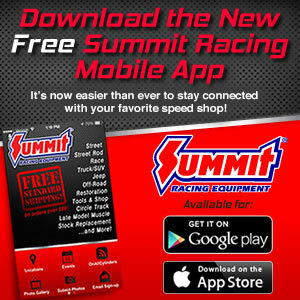 •Visit the IHRA trailer at Summit Sportsman Spectacular events to pick up decals from select partners. To become an IHRA member and maximize your race winnings, please call 561-337-3446 or e-mail membership@ihra.com.